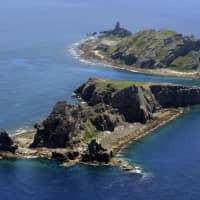 BEIJING - Tensions remain high over the Japanese-administered Senkaku Islands in the East China Sea as Beijing strengthens its coast guard, which is now being called a “second navy” by Chinese media. China’s leadership under President Xi Jinping has maintained its hard-line stance over the islands, claimed by China, while promoting efforts to improve its relations with Japan. When Prime Minister Shinzo Abe had a meeting with Xi in Beijing last October, they agreed that their countries do not represent a threat to each other. 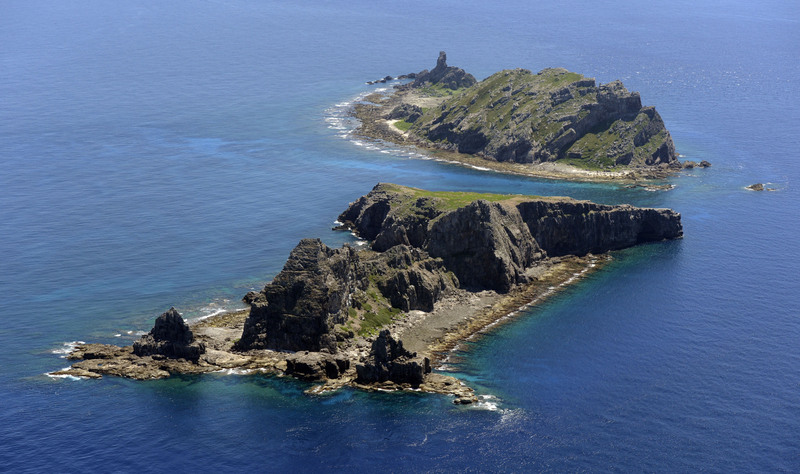 In December, there were no reports of any Chinese government ships entering Japanese waters around the islands, called Diaoyu in China, with some observers viewing this as a sign of improving bilateral ties. That marked the first month without such an incident since Tokyo effectively nationalized the islands in September 2012, a move that has lead to routine intrusions by Chinese government ships. Since the beginning of this year, however, there have been several instances of Chinese ships intruding into Japanese waters around the Senkakus. The Chinese coast guard was placed under the control of the Central Military Commission, the highest organ of the country’s military, in July last year. The maritime law-enforcement body had belonged to the State Council until then. The coast guard has recently named Rear Adm. Wang Zhongcai, former deputy chief of staff of the East China Sea Fleet, as its new leader, according to Chinese media reports. Early this month, Central Military Commission Vice Chairman Xu Qiliang, the top uniformed officer in China, reportedly instructed three coast guard vessels patrolling in the East and South China seas to be fully prepared for various situations, an apparent sign of the country’s determination to protect its maritime interests. While strengthening its organization, the coast guard is rapidly improving its equipment, including weaponry. The coast guard is “increasingly integrated into the navy,” a diplomatic source said. In 2012, the Japan Coast Guard owned a total of 51 vessels of 1,000 tons or more, while its Chinese counterpart held 40 such ships. The growth of China’s fleet, however, has easily outpaced that of Japan’s since then. As of this year, the number of such large coast guard vessels is seen totaling 145 for China and 67 for Japan. The China Coast Guard is believed to be reusing decommissioned naval vessels after removing large artillery equipment. The report also mentioned the Chinese Navy Marine Corps, warning that its mission “potentially” includes amphibious assaults on the Senkaku Islands. The Chinese Marine Corps is believed to have around 28,000 to 35,000 troops, a roughly threefold rise since an organizational change in 2017. It is also proceeding with the introduction of cutting-edge amphibious vehicles and helicopters. Aiming to overcome this disadvantage, the Chinese Marine Corps is believed to be training for actual battles, not only in coastal areas but in inland regions, including deserts. Last spring, some 10,000 Chinese Marines traveled more than 1,200 miles (1,930 kilometers) in a large-scale exercise to improve long-range maneuverability, U.S. Indo-Pacific Command chief Adm. Philip Davidson said in written testimony to the Senate Armed Services Committee earlier this month.